Whether you're a social media maven when it comes to your own social media channels or a total newb for your business, social media success can be tied to posting quality content consistently and thoughtfully engaging with your community. This could be easier said than done but it doesn't have to be that way. 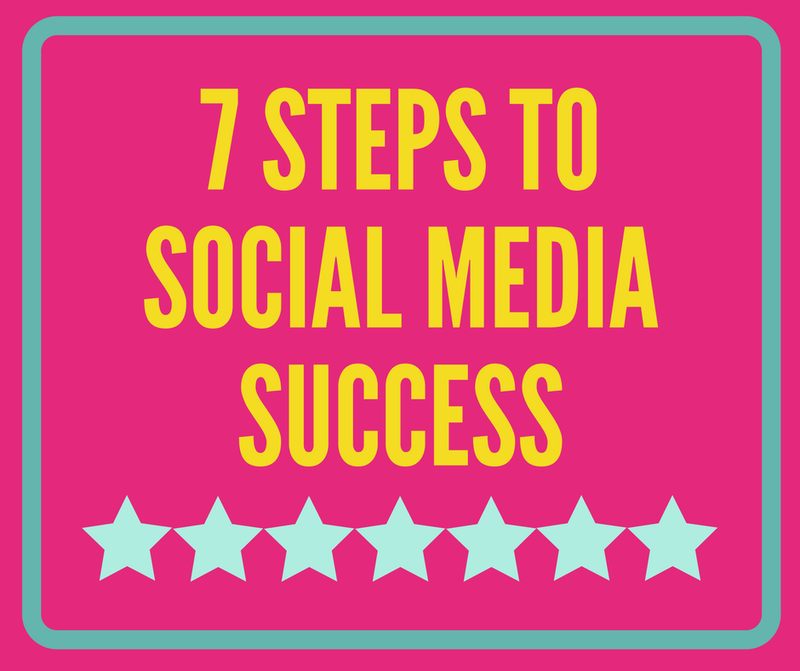 Follow these seven steps to rock social media with your business. So many people skip this step but it is critical in setting yourself up for success. Don't waste your time shouting at people who have no interest in what you have to offer. Define who your ideal customer is and how you serve them. What does your business stand for? If it walked into a cocktail party, how would you describe it? These answers will drive the decisions you make when posting to social media. Having business goals clearly documented gives you a framework to refer back to when you ask yourself if you're posting in the right things in the right places at the right times. Also, if you put paid support behind your social media content, your business goals will also help determine which type of campaigns you should implement. It may be tempting to log onto Facebook and just post whatever comes to mind whenever you happen to think about it. However, every word you post on social media counts. Each post should be positioned to serve your target and ultimately drive you closer to your business goals. Avoid dry spells by determining your content buckets and publishing pace early on. Align your calls to action with your goals. Looking to generate leads? Offer followers exclusive content, sweepstakes or free offers in exchange for their email address. Want to increase brand awareness? Focus on content others will engage with and share to expand your reach. Once you have a plan in place create the content that you need to stick to the plan. Show your ideal customer how to accomplish something. Answer questions they may have. This could mean the creation of several larger assets that you can then dissect and repurpose into smaller assets for social media. It could also mean creating social specific assets, whether that's video, photos or an infographic. Make room for both long-form and short-form opportunities in your content library. Who will be responsible for posting content, engaging followers and measuring success on your social media platforms? Is it one person or a team of people? If you're a small company, does that mean buy in from everyone - deploying a full-on employee advocacy program? Make roles and responsibilities clear. If you have employees, it's also a good idea to put a social media policy in place to empower them to share on social. Let's get real about advertising on social media. Platforms are changing their algorithms daily, making it more difficult for your content to be seen organically. It may seem scary and unfamiliar but putting a few dollars behind a good post can increase its performance organically. Be selective, target carefully, test judiciously, analyze and repeat. Business goals are only as good as the metrics you assign to them and the energy you spend digging into the results. Dive into the numbers to find opportunities where you can improve or extend a concept that is working well. Don't wait for a new month, a new quarter or a new year. Start implementing these steps now to see results on social media. Need help getting started? Let me know what questions you have!